Lombok, a small island is not only reach from culture and art, it is also reach in culinary which have special taste hot and spicy as well as the island name “Lombok” in Bahasa Indonesia is mean Chili paper that always using in all Lombok food. Not only Lombok Traditional food, other food such Padang food, Chinese food, Betawi food and western food also easy to find in restaurant around Lombok, but still dominated by Lombok food. Plecing Kangkung, very popular on Lombok as a daily dishes to eat together with plain rice. 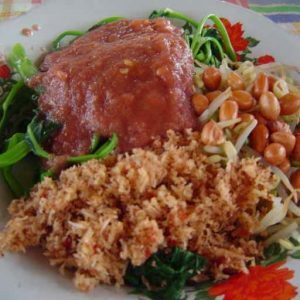 Plecing kangkung consists of a boiled kangkung (water spinach) seasoning with Sambal Terasi (Special Lombok Chili Sauce) made from grounded fresh red chili, tomato, sprouts, salt, grilled coconut, roasted shrimp paste and lime. It’s taste hot and spicy. 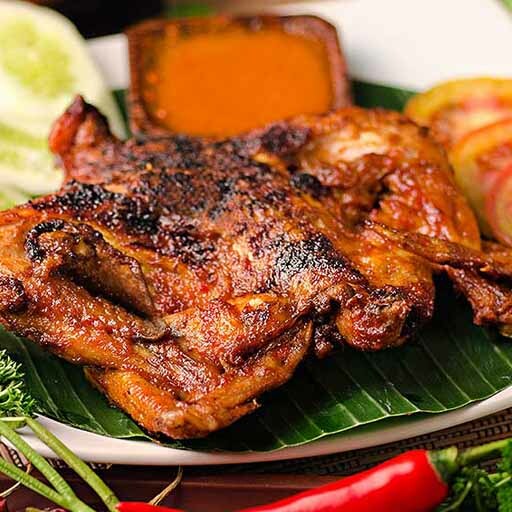 Ayam Taliwang, a tour of Lombok, West Nusa Tenggara will not be complete without tasting the local food of Ayam Taliwang. The uniqueness of Ayam Taliwang comes from chicken that is used, still fresh and young. Beside that, it also can be served as fried chicken, spicy roasted chicken, and also honey roasted chicken. Ayam Taliwang always serve together with Plecing Kangkung with spicy chili sauce and rice. 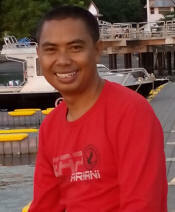 Bebalung is Sasak language means ribs. 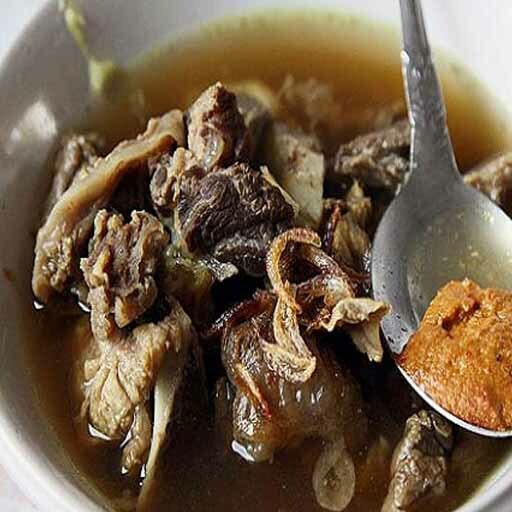 This food called Bebalung because made from cows or goats ribs. Its cooked similar to common soup but very well done so the meat at the bones become very soft with traditional seasoning blends. This menu always available in every celebration of local residents. Served with plain rice, slice of lemon and chili make it fresh and tasty. The soup and chili served in separate so for someone who can’t eat spicy food can try this. 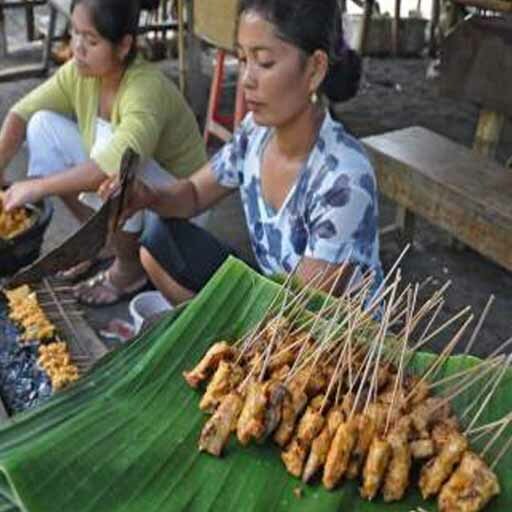 Sate Ikan Tanjung (Fish Satay) Originally coming from a village called Tanjung - Northern Lombok. Pieces of fresh snapper or tuna mixed with coconut milk, lemongrass, garlic, chilli paper, spices, wrapped onto sate stick and grilled. 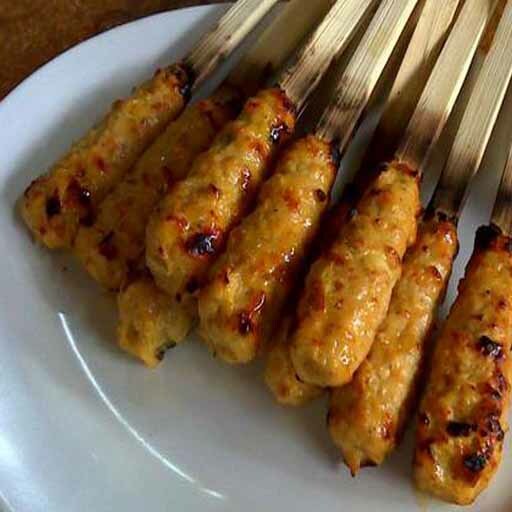 Easy to find this Satay in Ampenan and Tanjung where the food come from. Usually served separate with young chili. The kind of this Satay made from coconut, seasoning and meat. Mix together and put in the stick then grilled. This food is available in every celebration as the choice beside of Satay Tanjung, Chicken Satay and Lamb Satay. 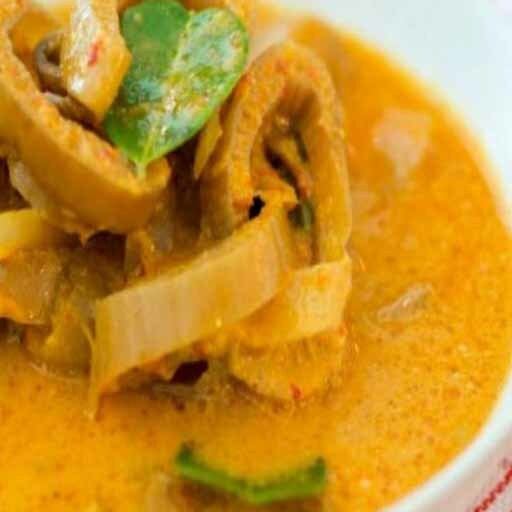 Ares is kind of curry dishes, it made from Ares (Batang Pisang) or in English called banana stem especially inner part cooked together with special seasoning in coconut milk and mixed with meat of chicken, beef or even fish. Its become one of the menu that should available with the Sate (satay), bebalung and pelecing Kangkun on every celebration people in Lombok such as weeding, local ritual, Hari Raya Lebaran (Idul fitri) serve always with rice.